An aspiring young artist hoping to get into art school makes his grandfather the subject of his media class project where he hopes to tell the tale of his harrowing journey from Germany to the United States. There are a lot of untold tales of heroism, and sometimes, you can find them right within your own family history. "The Samuel Project" is directed by Marc Fusco, who has directed other such features as "Rennie's Landing" and "My Uncle Rafael." He also wrote the film along with Chris Neighbors and Steven Weinberger. 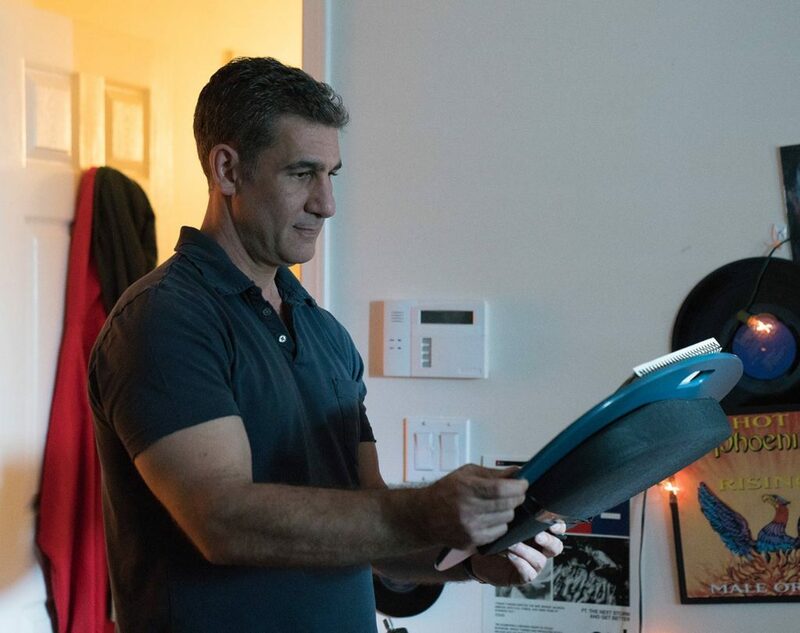 The story centers on a high school student named Eli (Ryan Ochoa), who hopes he can get into art school when he graduates, much to his father's chagrin. Eli has been assigned a project for his media class that is all about telling a tale of someone's "Historia." Eli's class partner Kasim (Mateo Arias) doesn't seem too interested in helping, so Eli gets to decide for himself what the project will be. 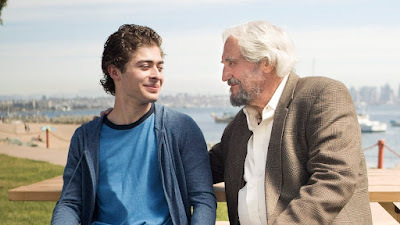 The subject Eli has chosen is his grandfather Samuel (Hal Linden), a lifelong dry cleaner who piqued his interest after giving him a ride to meet an old friend named Uma (Trina Kaplan) in Laguna Niguel. Eli yearns to discover the significance of this woman in his grandfather's life. In turn, he learns about his grandfather's harrowing tale throughout the course of this project. Though "The Samuel Project" is at its core a simple story of a high school student bonding with the grandfather he doesn't really know, it also shows the importance of learning your family history, how knowing the past can bring people closer together in the present, even when the older generation feel so disconnected from the youths of today. There are so many people in the world who live unassuming lives and have fascinating stories to tell. The account told here is one we have heard time and time again throughout history, how rhetoric and hate led to the deaths of millions of people and how young children became displaced from their families during WWII. It's really Samuel's story that makes this entire thing as moving as it is. When Eli's project is revealed at the end of the film, we found ourselves holding back tears as we watched the final product. Eli's animations bring Samuel's journey to life in an amazing way. 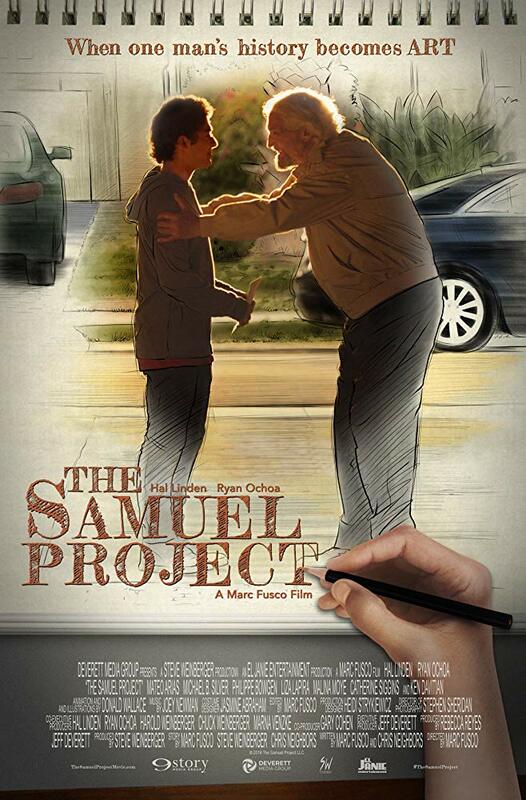 "The Samuel Project" is also about young people finding and forging their own paths in life. Eli and Kasim must prove to their fathers that pursuing their careers in art and music may not be as financially lucrative as becoming businessmen, but are worth exploring because they are passion projects they truly believe in, and sometimes, all you need to do is follow your heart. As San Diegans, we do appreciate that this movie was filmed here in America's Finest City. We had fun recognizing so many local landmarks here and there, including the dry cleaner Samuel owns, which is right by the bank someone in our family uses on a street we have traveled numerous times in our lives. Keep in mind, this didn't affect our opinions about the movie, but it's sort of cool to point out. It's not every day that a movie is filmed in our backyard. Finally, we have to admit we found some of the acting to be a little stiff at times, but Hal Linden and Ken Davitian are the exceptions. They are excellent as a pair of longtime friends, business owners, and friendly chess rivals who have witty banter with one another. Luckily, the story struck such a strong chord with us that it didn't bother us too much. In the end, "The Samuel Project" is a heartwarming and moving story that is absolutely worth watching. It encourages kids to not only be curious and follow their dreams but to seek out information about their family history and the historical paths that may have had a hand in shaping their lives before they were even born.